Shen Yun is returning with all-new 2017 programs. 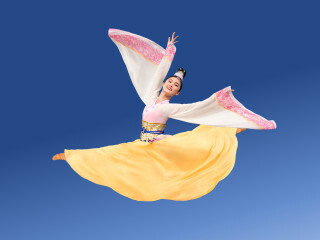 Consisting of about 20 pieces, a Shen Yun performance takes you to a magic journey through 5,000 years which highlights breathtaking animated backdrops, exquisite hand-made costumes, high flying leaps, thunderous drums, and mesmerizing live orchestra music will transport you to another world. Featuring nearly 100 world-class performers, Shen Yun is accompanied by its unique concert orchestra blending western and Chinese instruments.